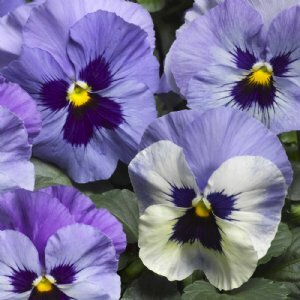 A spring garden favorite! 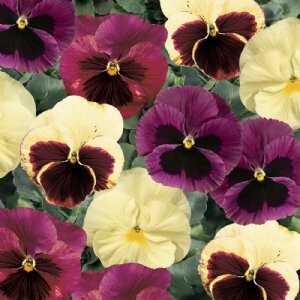 Pansies are colorful, and do especially well in the cooler weather of spring and fall. 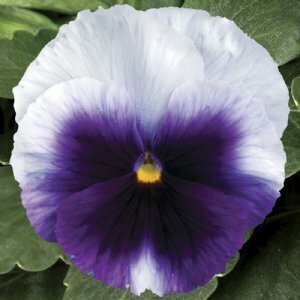 Arriving in shades of light blue and white, the pansy adds long lasting color for every season. 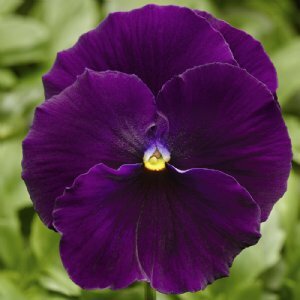 Deep, deep purple with a tiny yellow center. 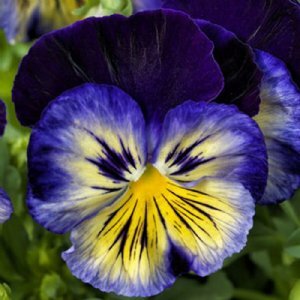 Sure to draw the eye in no matter where it's planted. 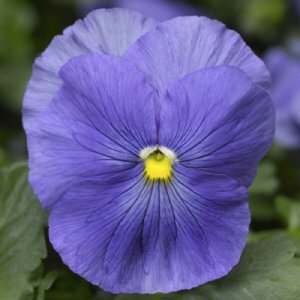 Serene as a clear blue sky, this cheerful little bloom is easy maintenance. 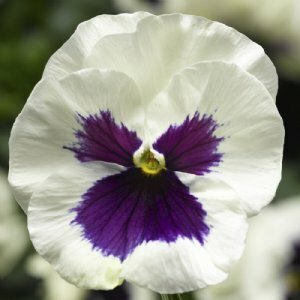 Striking contrast of deep purple and crisp white will add interest where ever it's planted.